A relatively newcomer to the high-end segment of the audio market, Gato Audio is formed by a group of dedicated Danish audio engineers with decades of experience between themselves. Among their achievements are names such as Holfi, Thule, GamuT and Avance. 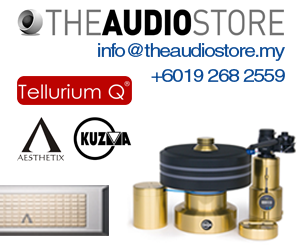 Founded some four years ago, Gato Audio today offers a wide range of audio electronics, speakers and cables. 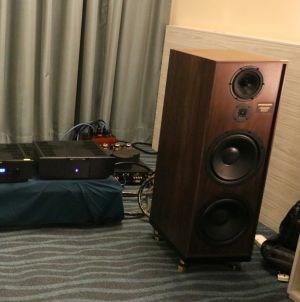 The subject of this product news write-up is the FM6, the high-end version of a two-model Gato Audio speaker line-up. Described as a 2½-way floorstanding speaker system the FM6 is impressive looking, measuring 1,020mm high, 370mm deep and 300mm wide and weighing in excess of 30 kg. Designed to operate optimally at a 2.5-degree tilt the FM-6 is available in high gloss finish of white, black and walnut. Drive units compliment comprises dual 180mm woofers, one for dedicated bass reproduction and one for upper bass/midrange duty. High frequencies are handled by a 30mm ring radiator tweeter. An unusual feature of the FM-6 is the presence of an extended aluminium spine located at the rear of the speaker. According to Gato Audio the primary function of the aluminium spine is to provide critical damping of resonances and improve dynamics. Shaped from extremely strong MDF (Medium Density Fibreboard) the teardrop shaped enclosure of the FM-6 is further braced structurally from the inside. Rated to match amplifiers with output of between 50-300 watts the FM-6 has a fairly high sensitivity of 90db into 4 ohms. Features include WBT style connectors, bi-wirable capability, aesthetics matching aluminium trim rings around the drive units and separate crossover PCB boards. The FM-6 retails for RM50,000 per pair. The FM-6 and other Gato Audio range will be on display/demo at the coming KL International AV Show 2013, July 05-07, JW Marriott Hotel, Kuala Lumpur.